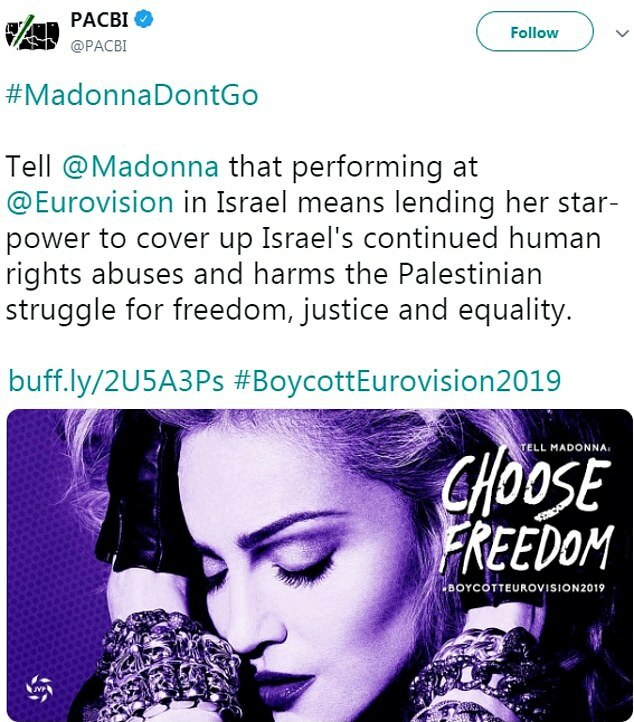 Madonna is facing backlash for her upcoming performance at next month's Eurovision Song Contest in Israel. The iconic singer, 60, is said to be taking to the stage at the Expo Tel Aviv to sing two of her songs during the finale's halftime - which is set to cost organisers $1 million. 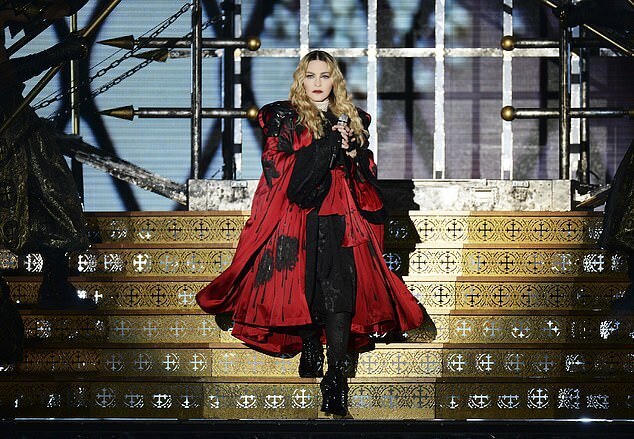 Madonna's upcoming performance has been doused in controversy after it was announced on Monday. 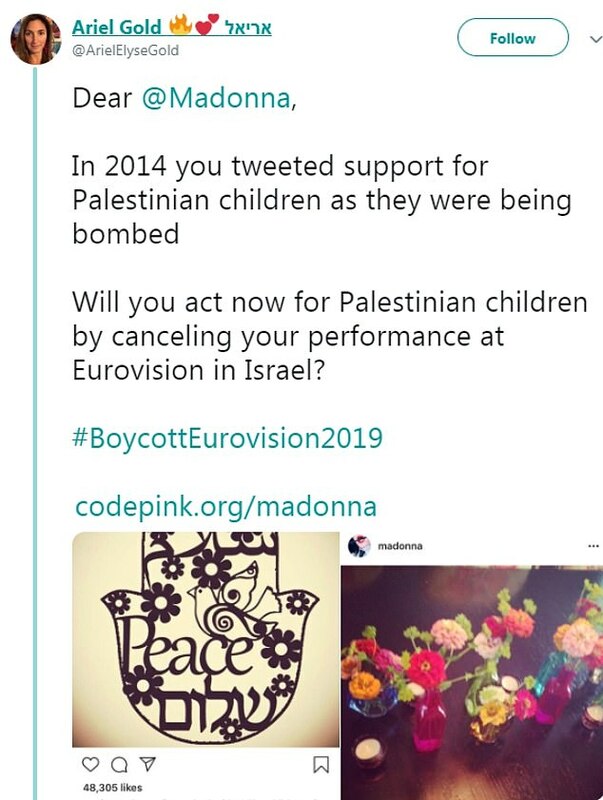 Madonna is facing backlash for her upcoming performance at next month's Eurovision ﻿Song Contest in Israel. 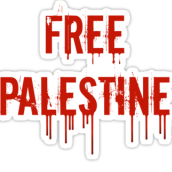 However, fans have called for a boycott of Eurovision this year, with many slamming the hi﻿tmaker for agreeing to entertain audiences at the a﻿nnual event in Israel after she previously tweeted for 'peace' following the bombing of innocent Palestinian children in 2014. 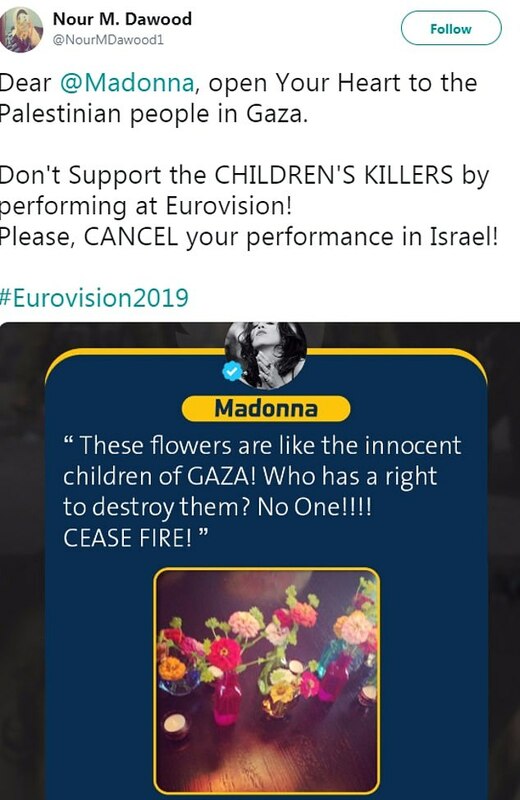 Many social media users have called for Madonna to cut ties with the performance and the hashtag #BoycottEurovision2019 has been widely used to bring to the forefront the plight of Palestin﻿ians living under Israeli occupied territories. god... First lana now madonna, at some point everyone is gonna void that area altogether because it's just not worth all this..
madonna might be a lot of things but she is not stupid and she is on the right side of history. she will put the performance in the name of peace, freedom and equality. she will make a clear statement for peace, i´m sure. Gaga performed in Israel too! I mean, it's to be expected so I'm not really surprised. I remember reading that her performance was going to be provocative and the event organizers weren't very pleased. So I wonder if she was going to do or say something related to the government's treatment of Palestine.
. I mean﻿, where were everyone when Gaga performed in Russia and Azerb﻿aijan for examp﻿le﻿? Right here! She was criticized for it. Or everyone has bad memory? I saw some posts about it, but not that much. I mean, we're on GGD with lots of Madonna haters so I'm not surprised. They are so desperate to bash Madonna as fast as they can that they don't remember Gagas actions. Posts? There were several threads made about it. Madonna isn’t being targeted here, anymore than Gaga was on her own fansite. That does not justify this though. There were dozens of people criticizing Gaga then. A lot of us criticized her then, and will criticize this now .